The foundation manages several bunkers. On two locations we have made them to small museums. 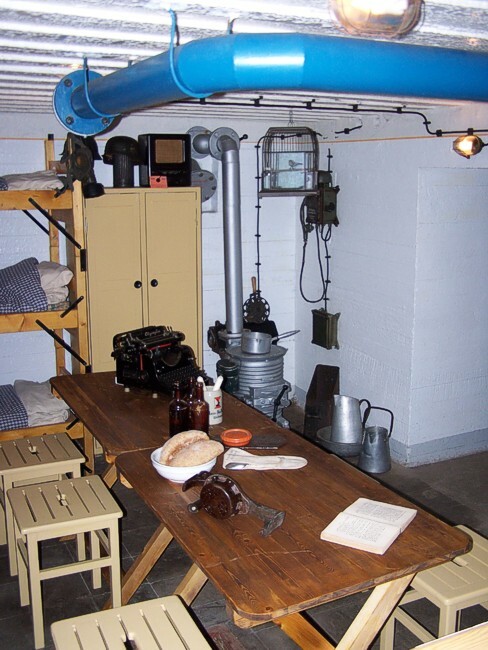 We show German equipment and give information about the Atlantic Wall and the battle of the Scheldt. The information panels have a summary in the English language. The visits are at your own risk. Download the brochure. A third museum in the divisional headqaurters Toorenvliedt in Middelburg is under construction. The opening hours will follow. You find the brochure here. Opening hours in May untill October are from 13:00 till 17:00 hours, every Sunday and Wednesday. A path through the dunes has paving stones and takes you from one bunker to the second one. The visits are free, but a donation is always welcome. Please keep in mind that we have no facilities, not even a toilet. The bunker on top of the dunes is not suitable for visitors in a wheelchair. 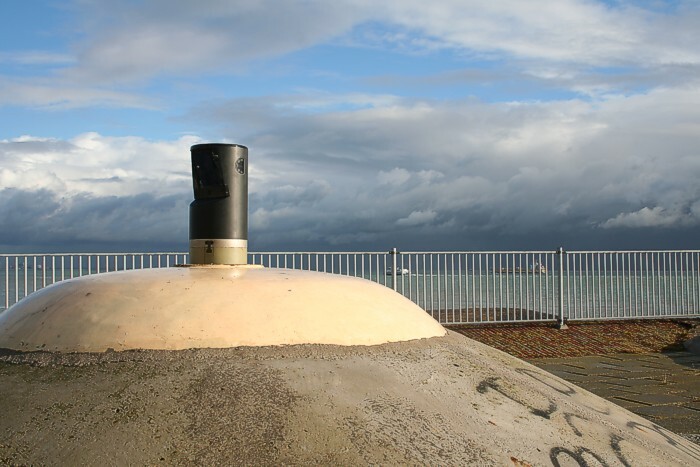 This observationbunker is situated on the Oranjedijk in Vlissingen. The museum is open every last Saturday in the month from May until October. Opening hours are from 13:00 till 17:00 hours.